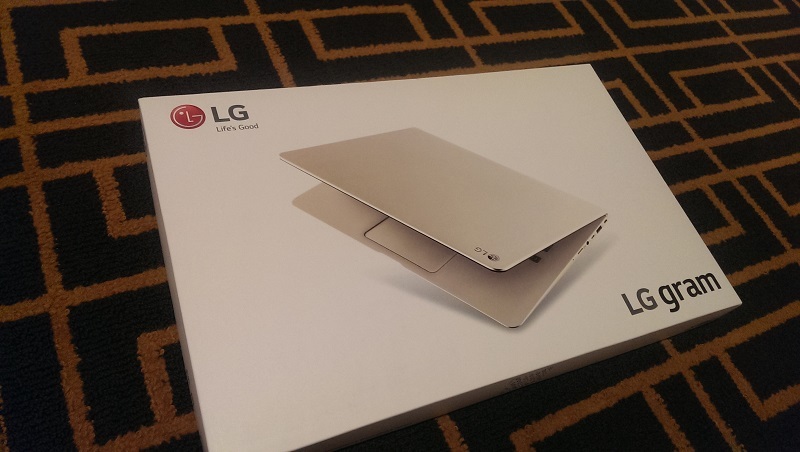 I was lucky enough to score one of LG’s first US laptops recently. I’ve been without a laptop for a few months now, and have been scoping out what has been out there for a while. I ordered the laptop on Amazon Prime and had it delivered within 15 hours. Not too shabby. I also didn’t have to pay full price thanks to royalties from my book sale, Amazon affiliate earnings and an Amazon gift card I was able to score. It came in beautiful packaging. When I picked up the box it felt like only Styrofoam was in there it was so light. Setup was a breeze, I was up and browsing the web within 5 minutes of receiving it. Let me just start out by saying I absolutely love this thing. It is the lightest laptop I have ever seen in my life, it is powerful, and it is beautiful. It is also extremely thin. I think it is thinner than my smart phone as a matter of fact. 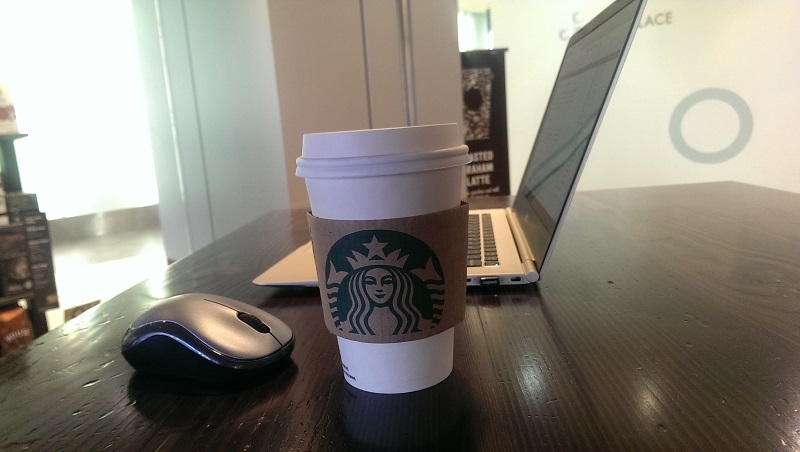 Yes, it looks almost identical to a Macbook. I’ve had this laptop only for a few days and already 2-3 people asked me if this was a Macbook Pro or Macbook Air. It looks almost identical to one. 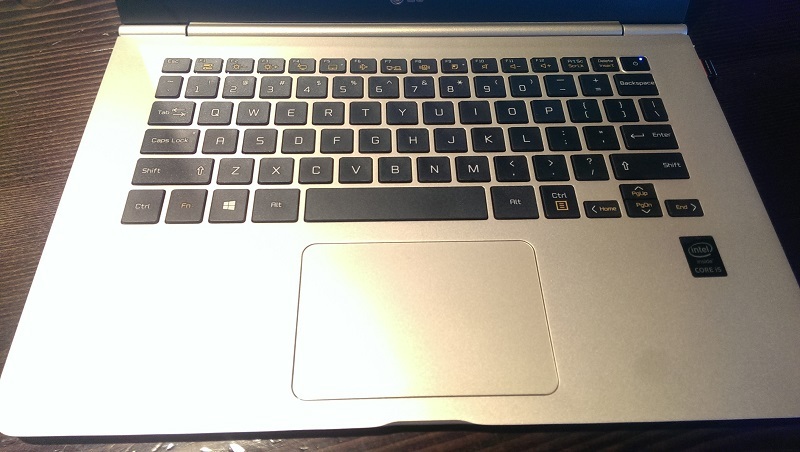 I opted to go with this model (LG gram 14Z950 i5 14″ Laptop (Champagne Gold) from Amazon. Full price was $999. I didn’t see the need to pay an extra few hundred bucks for an i7, and I practically never use local hard drive space on a laptop and if I do I am more than capable of replacing it with a 512GB SSD for a hundred or so bucks. Only peripheral I connected was a Logitech wireless mouse which connected right away. the LG Gram has all the expected ports. 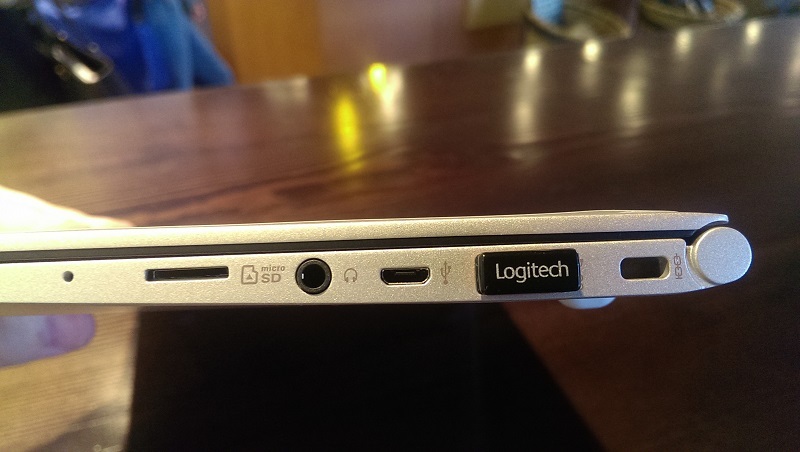 (2) USB 3 ports, SD card reader, headphone jacks, HDMI, and correct me if I’m wrong but isn’t that a USB type C jack right next to the USB / Logitech adapter in the photo above? I haven’t been on top of hardware specs the way I used to be but it plugs right into my USB C cord. The screen is absolutely magnificent. As a 14″ it is probably one of the smallest screens that I own, but it is probably one of the highest quality. This thing is fast. I am a power user to say the least and this thing never skips a beat. The resolution is a tad low but this was easy to hack around with (Ctrl + Scroll down) in Firefox. Honestly I find the resolution to be perfect for a laptop. 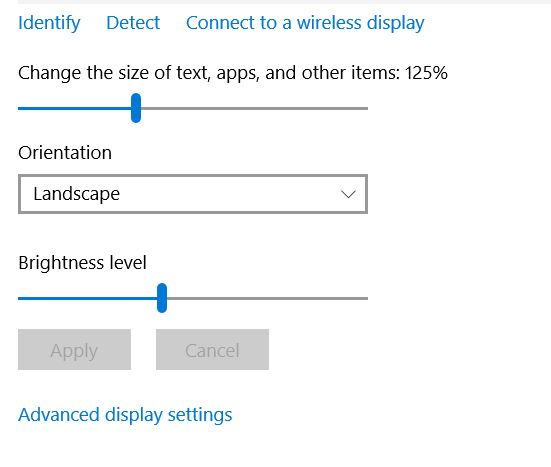 Edit 10/18 – Been playing with the settings and noticed that the display was set to 150% by default. I cranked it down to 125% now we are working like gold. The other great thing I love about this is the material that LG used for the body. Some kind of space aged magnesium alloy. It does not flex, it does not get hot and it feels better than metal. It also does not make fingerprints when you touch it which I hate. The hinge is super sturdy and overall I’d give this a 10/10 in terms of hardware craftsmanship. The ONE thing that I think this is missing is a back-lit keyboard. I would love a back lit keyboard esp because I do a lot of work at night. Although I know the home row and don’t look down when I type I do glance down when coding from time to time for special characters. Regarding hard drive space: even after installing Windows 10, Office, Photoshop, iTunes it STILL has pretty much 75% of disk space left. I mean, who stores things on the hard drive these days anyway. If I am going to do local storage it’ll be on my home server (which I set up to sync) my desktop or the cloud. And if I do want to store files there are ~100 Gigs to play with. I gotta say, I kind of like it which is saying alot considering I despised Windows 8/8.1. They got rid of all the features people didn’t like and kept the Windows that we all know and love. 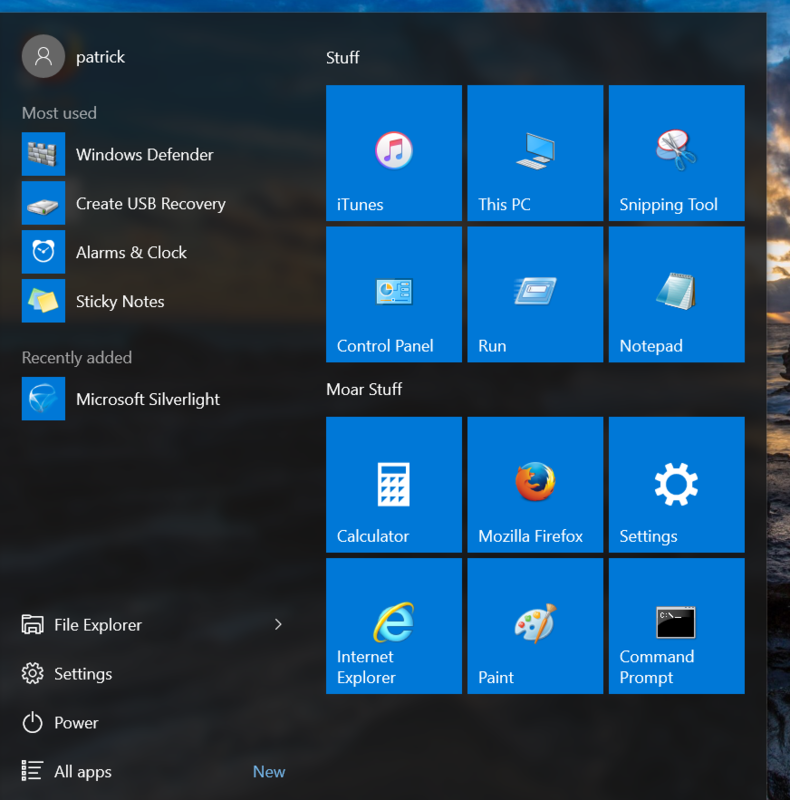 One of the main issues I had with Windows 8 was the start menu. Fixed in Windows 10. 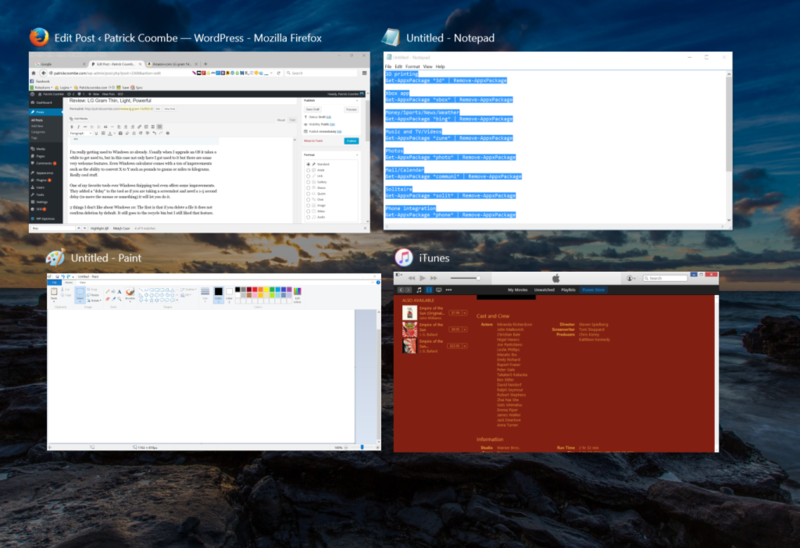 I was able to fully customize the tiled view, (which I kind of like now) with my favorite programs and such. The LG Gram did not come with any bloatware. In fact it came with Windows 10 signature edition which allegedly promises not to have any bloatware. I’m really getting used to Windows 10 already. Usually when I upgrade an OS it takes a while to get used to, but in this case not only have I got used to it but there are some very welcome features. Even Windows calculator comes with a ton of improvements such as the ability to convert X to Y such as pounds to grams or miles to kilograms. Really cool stuff. I also really like the default folder view. It highlights some really commonly used options such as file name extensions and hide system files in a place that is easy to access. One of my favorite tools ever Windows Snipping tool even offers some improvements. They added a “delay” to the tool so if you are taking a screenshot and need a 1-5 second delay (to move the mouse or something) it will let you do it. I also really like the Windows 10 “task view” which is a button on the task bar. This button will show all running apps in a nice tiled layout. You can disable this if you like, but I don’t mind it. 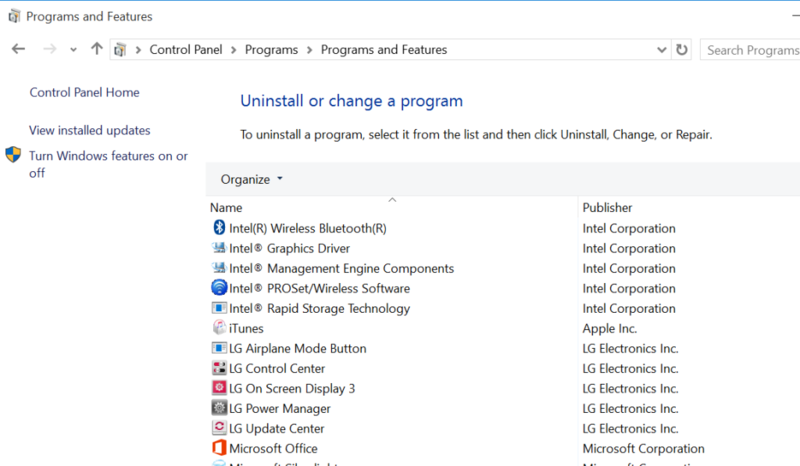 2 things I don’t like about Windows 10: The first is that if you delete a file it does not confirm deletion by default. It still goes to the recycle bin but I still liked that feature. I also don’t like when you close certain apps (snipping tool for example) it doesn’t confirm save. That is a huge no-no esp considering most of the time I never hit save, I just usually close and say “yes” when prompted. Other than that, I’m really liking Windows 10. I’m sure I’ll uncover more features as time goes on. This laptop is absolutely gorgeous. The keyboard has just the right amount of travel and the keys are right where you expect them to be. Only weird thing is the power button is in the upper left hand section of the keyboard, but it is recessed into the kb so you won’t hit it accidentally when going for the delete key. As a matter of fact I am pounding out this review on this keyboard right now. All I know is this: I’ve been using this laptop all day long running from a full charge, it has been about 4 hours and I still have about 40% of power left. That includes lots of WiFI usage, watched a few videos and using the crap out of it in general. Trust me when I say, the battery is sufficient. 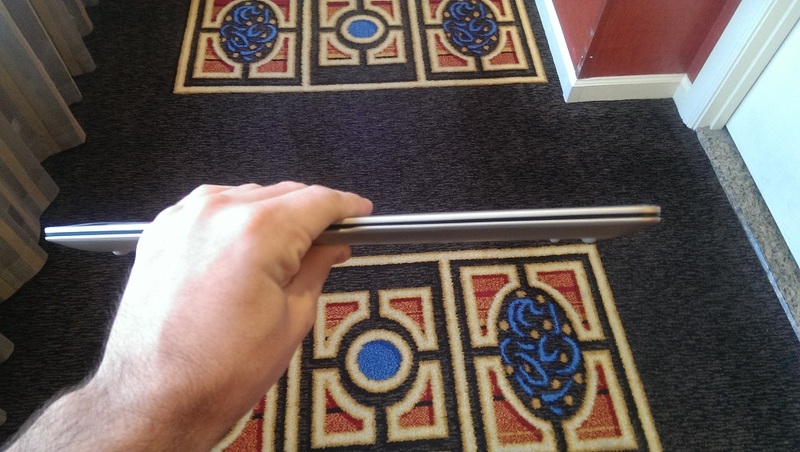 The Verge gave this laptop a really bad review. I won’t give them the dignity of a link you can find it if you want. Their big complaint is that the screen shook while typing. I did not find this to be true at all. Solid as a rock. They also said it runs hot and fans are loud, which I also do not find to be true at all. Were you guys looking for something to be wrong with this laptop? Maybe the higher ups at The Verge were told to give it a bad review. #advertising. The Verge also said that the magnesium alloy LG used was flimsy. I think it rocks, it is super sturdy, doesn’t get hot and feels really cool to the touch. It also doesn’t bend or flex at all, I have no idea what these people from the Verge were talking about, I think they were having a bad day. Lean on any material hard enough and it will bend. You do realize you aren’t supposed to put your weight on the PC, right? Perhaps it got hot and the fan was loud because they reviewed the i7 version and had a 256GB SSD and mine was the i5 with a 128GB SSD? I haven’t heard this thing make a peep in probably 36 hours of “power” usage so far. 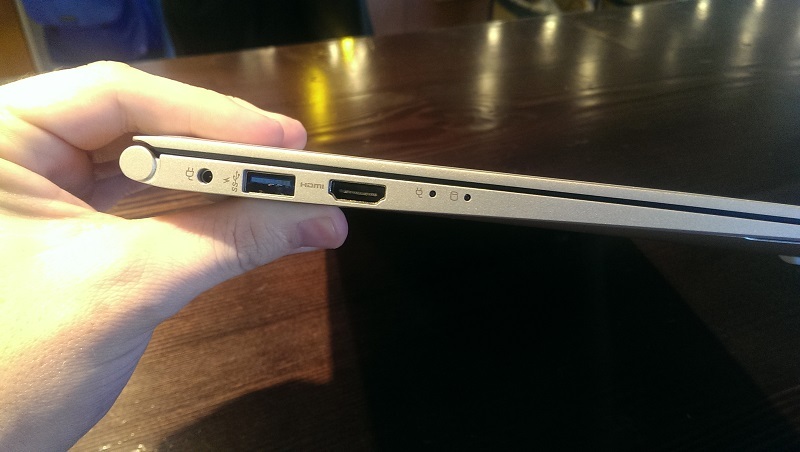 If you are looking for a super fast laptop, that is extremely thin and lighter than a Macbook, this is your laptop.